It is a sad fact that almost all software contains bugs. At Stochastic Solutions, we hate bugs and use a test-driven approach to development to try to ensure that as few as possible make it into our software. Inevitably, however, some remain. We can't offer any guarantees, but if we agree there's a problem, we'll do our best to fix it, particularly if it results in incorrect results being shown (the very worst kind of bug). 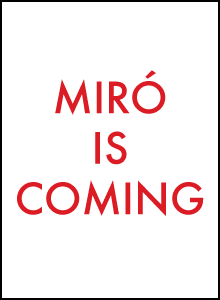 Given that we're providing the Miró online components free of charge, we can't offer any kind of official support at all. But in practice, if you have a problem and get in touch, we'll probably try to help if we're not too busy. Of course, if what you need really lies in the realm of consulting rather than direct support with the Miró components we've made available on the web, we also offer consulting services. Miró aims to work with all standards-compliant browsers, including Firefox, Opera, Safari, Chrome and Konqueror. Sadly, despite its market share, Internet Explorer does not fall into this category, and may work less well or not at all with this website and/or with Miró. If you are having problems and are using any version of Internet Explorer, please consider trying any modern, standard-compliant browser instead, at least for working with this site. All of those listed above are available free and should work with this site.